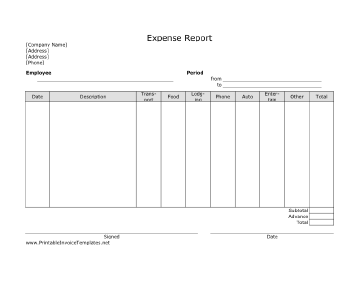 This printable expense report has spaces in which an employee or contract worker can note business-related spending on transportation, food, lodging, and other things. It is designed in landscape orientation and does not have lines. It is available in PDF, DOC, or XLS (spreadsheet) format.